In the Winter 2019 issue of Spin Off, editor Kate Larson explored the literal ground beneath a sheep’s fleece (um, feet). 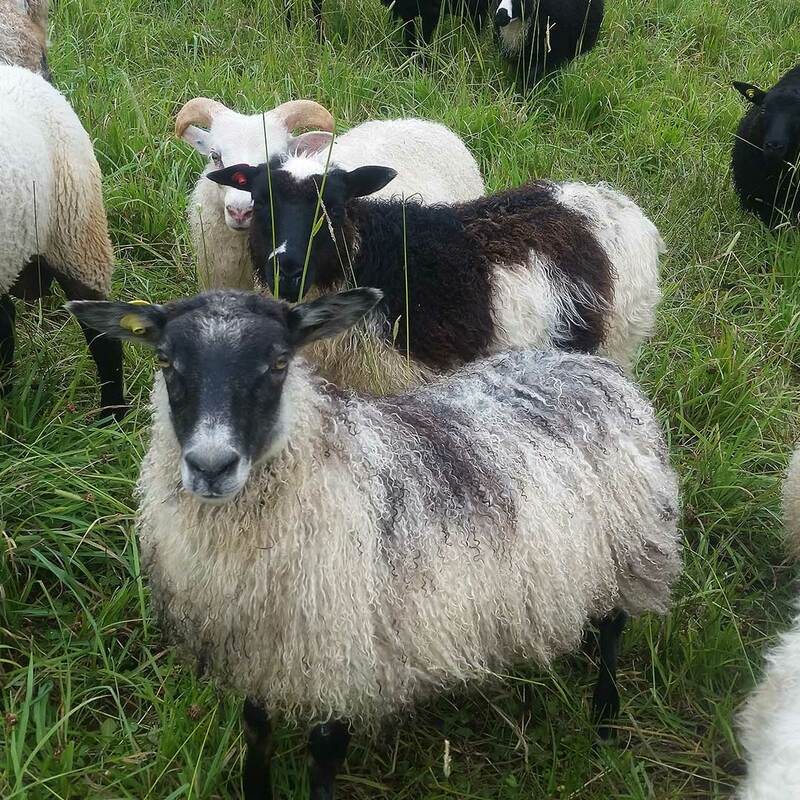 Here’s an excerpt from her article, “The Golden Hoof: Sheep, Grass & The Landscape,” where she talks to shepherd and agricultural education teacher Natasha Paris, of ParKelm Farm in Green Lake, Wisconsin, about her livestock and land management practices. Natasha and her husband, Jordan, began their farming adventure in 2012 on land that had been in Natasha’s family. She says, “We started out with eight head of cattle, four sheep, and land without power, water, driveway, fence, or buildings. We built everything from scratch.” They began working to integrate heritage-breed livestock into a grazing system that improved soil health and water quality on their land. They now keep a flourishing flock of Icelandic sheep in addition to grass-fed cattle and pastured hogs. Do you rotate your sheep, cattle, and pigs through the same pastures? While our system is ever-evolving, we tend to give the sheep first choice to encourage them to graze high (most sheep parasites are closer to the ground) and maximize nutritional intake for growing lambs. The sheep are usually followed by the cattle, who do a good job of evenly mowing and trampling whatever the sheep leave behind. We have not yet intensively rotated the pigs, as they are the newest animals on the farm, and have just put them in areas that have had a lot of rest so there is lots to choose from, but we hope to involve them in the rotation in the future. After grazing sheep on your pastures for several years, have you seen changes in the pastures or animals? Over time, our pastures have increased in the diversity of species. We have also changed how we manage the animals on pasture by working to reduce parasite load in the sheep. This has also helped us see which animals have more resistance to parasites and cull bloodlines that lack resistance. 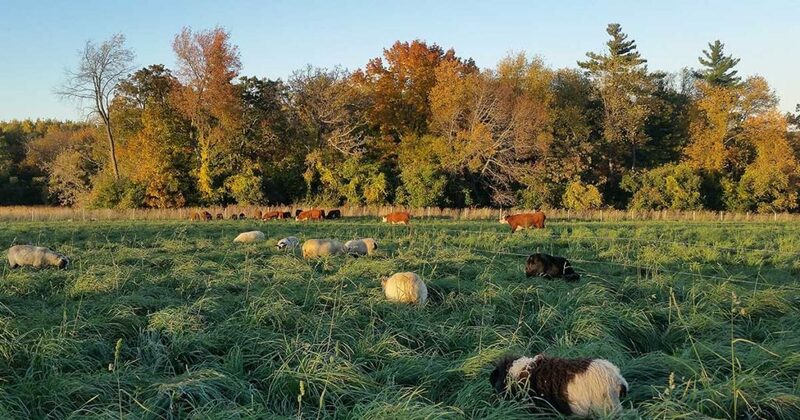 The Icelandics have a hardy nature, which makes them a good fit for our Wisconsin climate, and their historic diet of sparse grasses promised they would do well on a pasture-only diet, and they do. Featured Image: Icelandic sheep graze alongside cattle on ParKelm farm in Wisconsin.